(Natural News) The immune system is essential for survival, that much is a fact. But for something people need to live, it’s often neglected — until people become sick, that is. In some cases, the immune system can act up, which can lead to conditions which range from cold hands and diarrhea to more severe conditions such as Crohn’s disease and even pneumonia. In his video, Charles Kwang of Kwang Wellness talks about how detoxification can restore a weakened immune system, drawing his experience in both chiropractic and Traditional Chinese Medicine (TCM). Watch the full episode, only on Brighteon.com. Phagocytes — These are cells that surround and absorb pathogens and break them down (or “eat” them). Lymphocytes — These cells remember previous invaders and recognize them if they come back and attack again. The immune system is able to tell self from non-self by detecting proteins on the surface of the cells. If it encounters an antigen, an immune response where the cells recognize and eliminate an invader is triggered. According to Kwang, the problem begins once the immune system becomes deficient. The condition — medically known as immunodeficiency — refers to the inability of the body to fight infections and diseases. This puts a person at risk of catching viruses and bacterial infections, to name just a few. The condition has multiple risk factors, including malnutrition, diabetes, radiation exposure, chemotherapy, severe burns, and even aging. Common symptoms of immunodeficiency include sinus infections, cold-like symptoms, diarrhea, pneumonia, and yeast infections. This is can be the result of two things, Kwang says: either the inability of the immune system to flush out the toxins or problems in the transport of waste materials. The first one means that the immune system is unable to eliminate toxins, while the latter is responsible for conditions including eczema, psoriasis, and nasal congestion. The body is exposed to countless toxins every day, and the immune system is responsible for sorting it out. Here are some detox tools to boost the immune system and help it in its fight against invaders. Warm lemon water — Drink warm lemon water after waking up to flush out toxins and maintain a healthy immune system. To make the most of the drink, add some cayenne or cinnamon to add antiviral properties as well. Begin at the soles of the feet, moving upward and brushing in circular motions. Tea — Drinking certain types of tea improves certain aspects of the immune system. For instance, to improve inflammation, drink nettle or chamomile tea. Drinking burdock or red clover tea can help cleanse the blood. 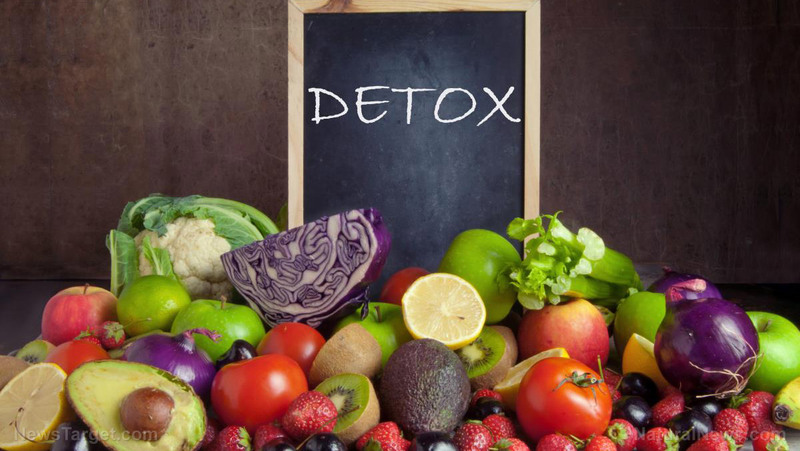 Learn more about how detox can improve other body systems at Detox.news.